Your author platform begins with your website. This is your home online, the space where you can let your fans gather and enjoy your work together. 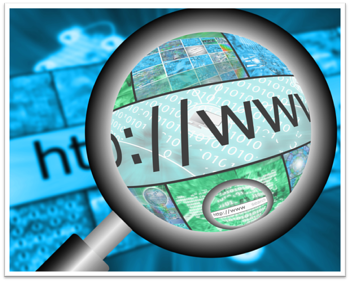 It begins by being a static online address, but you can make your website so much more. Here are ways to improve and upgrade that website to increase your income and royalties. Marketing today is all about engagement with your readers, and the best way to do that is to give them a great experience and content on your website. That can't happen if your site loads slowly, is confusing, or annoys your readers while they're trying to read. Use some basic SEO techniques to make your site more intersting and user-friendly. Pop-up ads have been proven to work wonders when looking for email addresses, but they can be annoying. If you've got a long-term goal of reader engagement you may want to include a time trigger(every 30 days per visitor) or pass up on the short-term gain and ditch the email harvesting pop-up. A great website is never boring, and that means including lots of pictures and compelling content. The problem with that is that if you don't cut those photos down to size, your site will seem to take forever to load. Studies have shown that readers will get impatient and leave if your site takes more than just a couple of seconds to load. Resize your photos to the minimum to cut down on your load time. Also be sure to include keywords in your image tags for increased findability. And most importantly provide eitehr educating or entertaining content on your site. Video, Podcasts and other content that is relevant to your target reader. 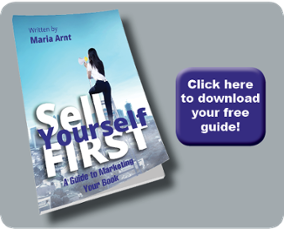 The easier you make it for your readers to buy your books, the more books you will sell. If readers have to make an effort to find and purchase your books, a significant number of them will never even bother. Put links to your sales page on every other page and put prominent sales buttons on every description page. Make sure you include your backlist as well as your new releases. The idea is to make buying your book an almost brainless action on your reader's part. Sign up to be an Amazon affiliate. If you post your links using your affiliate address instead of the usual URL, your readers will never know, but you'll get a small percentage of everything they buy during their Amazon shopping trip. It may be only coffee money each month or it might add up to hundreds of dollars, but why leave that money on the table? Create a swag page so your dedicated readers can buy items with your book covers on them. Use a dedicated printing site such as Zazzle or Cafe Press to design t-shirts, coffee mugs, tote bags and other goodies. Put them on a prominent page and your rabid fans will snap them up, giving you some extra income for very little extra effort.